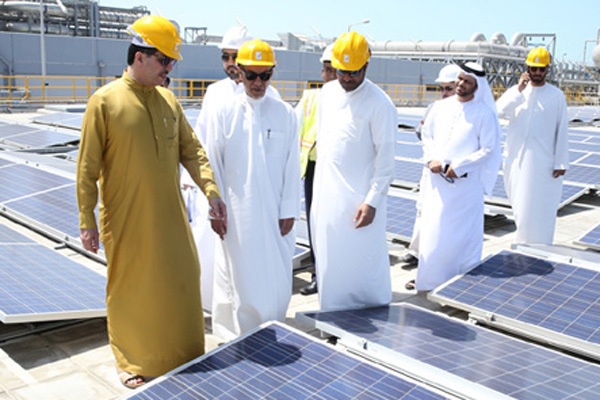 Dubai government has announced plans to install solar rooftop panels on buildings and residential villas across the emirate following the success of its flagship Safaqat project, whereby 640 villas were retrofitted with photovoltaic panels in the Hatta region. Safaqat (Arabic for transaction) is the solar revolution enabler for the UAE and falls under the Shams Dubai initiative which aligns with Dubai’s integrated energy strategy (DIES) 2030, the UAE National Energy Strategy 2050 and UAE Vision 2021. The green deal platform for the UAE, Safaqat leverages the power of crowdsourcing to provide economically viable low carbon solutions. It also offers energy and resource-efficient smart products, which will enable buyers to ‘pay with their savings’ whilst decreasing their environmental footprint. Under Safaqat, eligibility is only possible when the savings are more than the cost of the hardware over its usable life. Each Safaqat deal will cost less for the end user by comparison to their pre-purchase scenario, said a statement from Dubai Carbon, a key provider of advisory services to facilitate the transition to a low-carbon, sustainable, green economy. The Safaqat programme will support the implementation of solar rooftop panels on buildings across the UAE, with demand coming from Hatta and residential villas in Dubai, it stated. The solar rooftop panels are PV panels, which generate electrical power by using solar cells to convert energy from the sun into a flow of electrons. Solar cells produce direct current electricity from sunlight which can be used to power equipment or to recharge a battery. Dubai Carbon CEO Ivano Iannelli said: "Historically, sustainability has had associated cost considerations. Through crowdsourcing, we have sourced products which offer long term savings as well as being energy efficient, made available on the Safaqat platform." “The provision of solar energy to more buildings and villas via the Safaqat platform shows there is a demand for energy from natural resources. We are excited to meet this demand and also encourage more people to embrace solar energy through the Safaqat platform,” he noted. On the advantages, Iannelli said the solar-in-a-box kit can easily be dismantled and refitted when moving house or country, and it also enables residents and business owners to access solar energy, realise savings towards their electricity bills and effectively pay with their savings for the kit. "Zero per cent financing is available for the kit, which includes 14 solar panels, a mounting structure, inverter and sun shade, cables and Shams Dubai fees and approvals," he stated.